Premier Hot Air Balloon Rides in the Finger Lakes Region and Upstate NY since 1976! Fly with the premier hot air balloon company of Western New York. We offer launch sites across the Finger Lakes region of western New York. All are within easy driving distance of Rochester, Buffalo, Geneva and Syracuse and most areas of upstate NY. Choose one of our many ride packages, and experience the beauty, the tranquility and breathtaking views offered by a wine region rich with cultivated land, plush wooded areas and of course spectacular lakes. 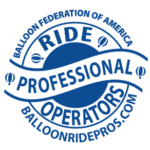 Balloon rides are available for groups up to eight passengers. Liberty Balloon Company offers standard launch sites in Canandaigua, near Letchworth State Park, Conesus Lake, and in the Genesee River Valley. We also offer specialty launch sites across the entire Finger Lakes Region of New York when booking through selected B&B’s or when choosing other special packages. For more launch options, check out our ride packages page, or contact us directly. Whatever the occasion, choose Liberty Balloon Company to host your hot air balloon ride experience!